Seeing as I’ve spent the last couple of weeks soaking up the sun in Far North Queensland (jealous much? ), I thought I’d share some of our dinning experiences for anyone living in the area or anyone looking to head up this way. 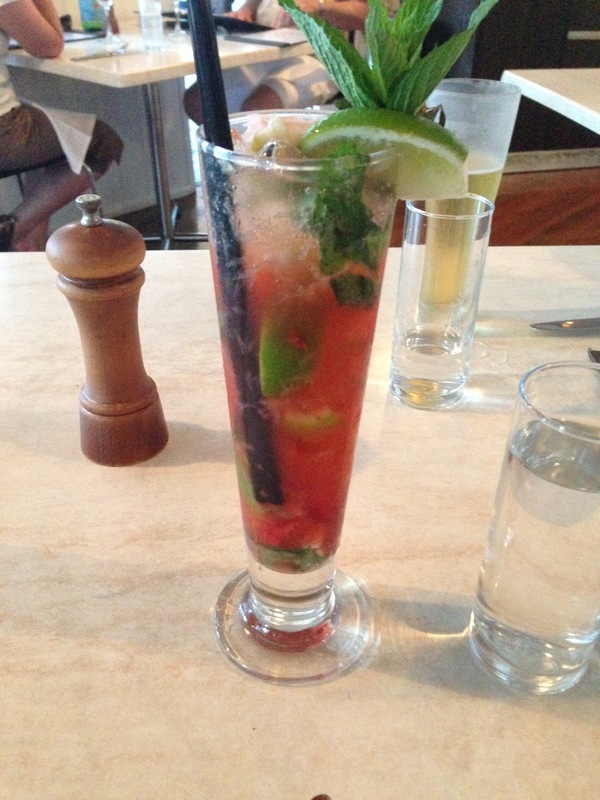 For the past 8 years my husband and I have holidaying in Port Douglas and the only constant in all of those trips is a dinner or two at Salsa. Seriously this place offers a dinning experience matched by some of the best restaurants in our capital cities. In eight years I’m yet to have a bad meal (i’m not trying to jinx them! ), and I don’t ever think that I will. This trip was a little bit different because we had bubs with us, so we opted for a quick early dinner (we couldn’t risk having too many courses just in case he cracked it and destroyed the dinning experience for everyone else there). 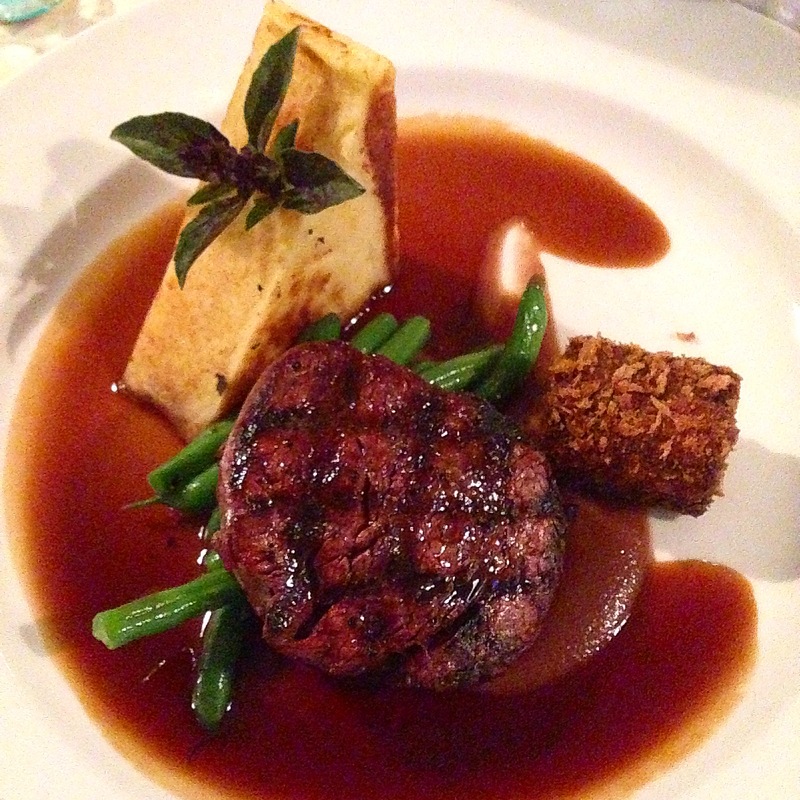 So straight to main meals we went, I had the black angus eye filet (black angus eye filet, wagyu croquette, potato gateau, caramelized onion soubise) and as expected it was delicious. 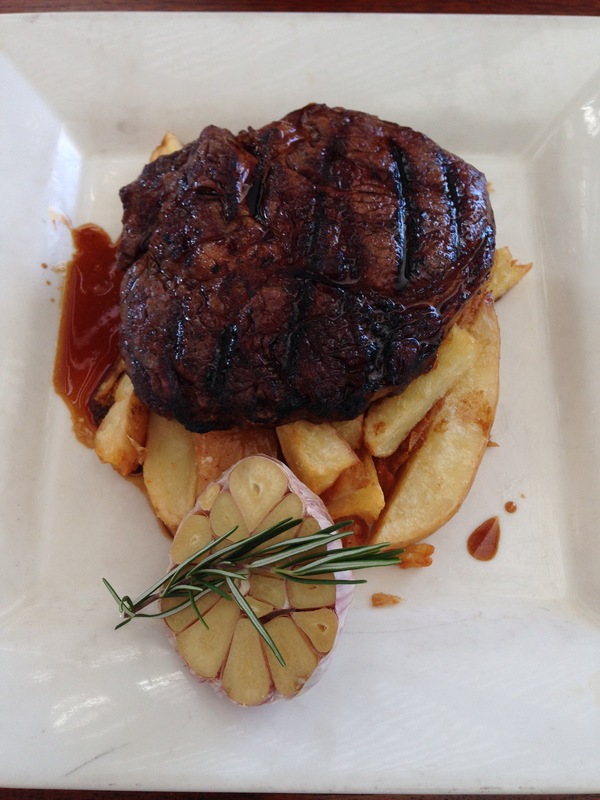 Tender, full of flavour and cooked to perfection, a great steak! Bubs was holding up well, so we quickly went on to dessert, and you guessed it, it was worth every delicious calorie. We decided to share the bombe (gianduja hazelnut bombe, coconut gel, cherry ragout, fairy floss), and by share I mean the husband had one spoonful and I had the rest. The bombe was set beautifully and coated in what tasted like choc chips, nuts and little nuggets of toffee. Combined with the coconut and fairy floss it was just about the perfect dessert. 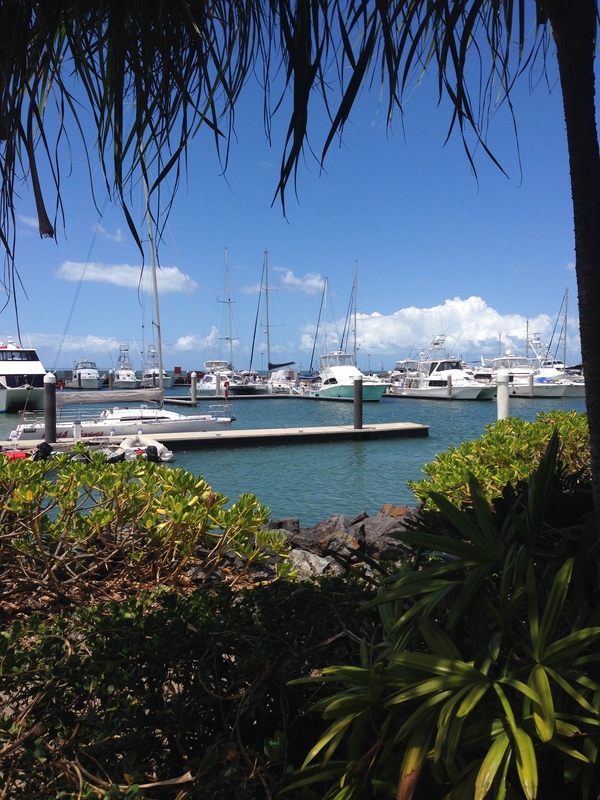 I can’t wait to go back to Port Douglas, just to eat there again, except next time I might organise a babysitter. We stumbled across Salt House one day when we were wondering around the Carins Esplanade. It is literally tucked away at the end of the marina behind the Shangri La Hotel, and if you didn’t bother to look at the marina, you would miss it. As soon as we walked in, I knew we had to eat there. 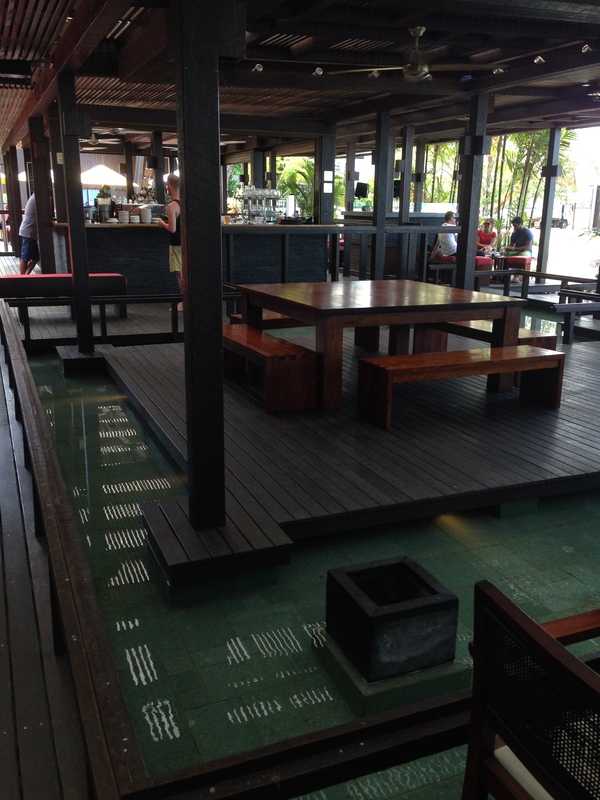 The place looked amazing, it was like some of the great bars you find overseas (think Ku De Ta in Bali). It doesn’t look like the kind of place you would take a baby, but they were incredibly accommodating to us, so I was pretty excited that we were able to try it out. I ordered the Carrot and Quinoa Salad (three quinoas, goji berry, semi-dried carrots, garlic sesame dressing) and the husband ordered the Grange Rib Eye (150 days grain fed, MSA, served with hand cut potato chips). I was wrapped with the salad, it was the perfect light lunch in the Cairns heat. 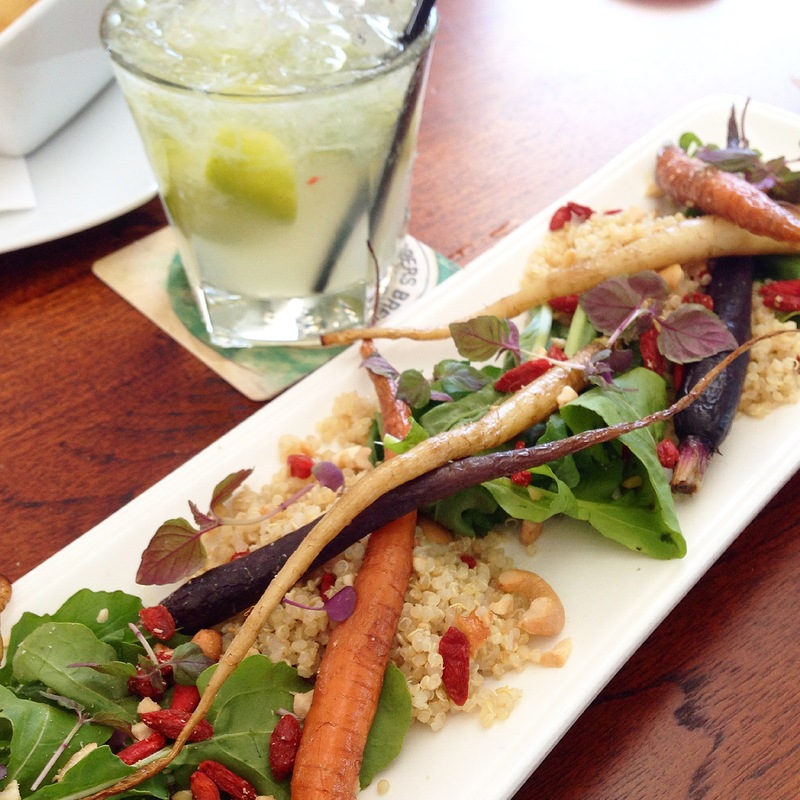 Plus the mix of flavours was just great, quinoa, carrot, goji berries, rocket and cashew – Deelish! The steak was also delicious, just like my steak from Salsa, it was tender and cooked perfectly. Oh and those hand cut chip – Amazing! If you’re in the area this place is a must. 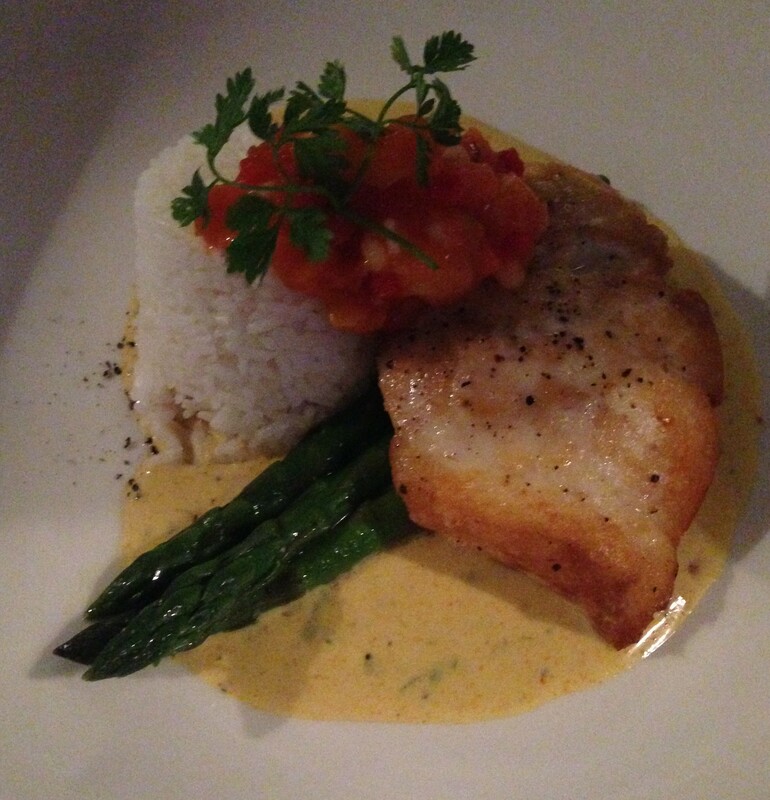 This was by far my best dinning experience in Cairns itself (there have been a few shockers over the years), so it has renewed my faith in their culinary abilities. 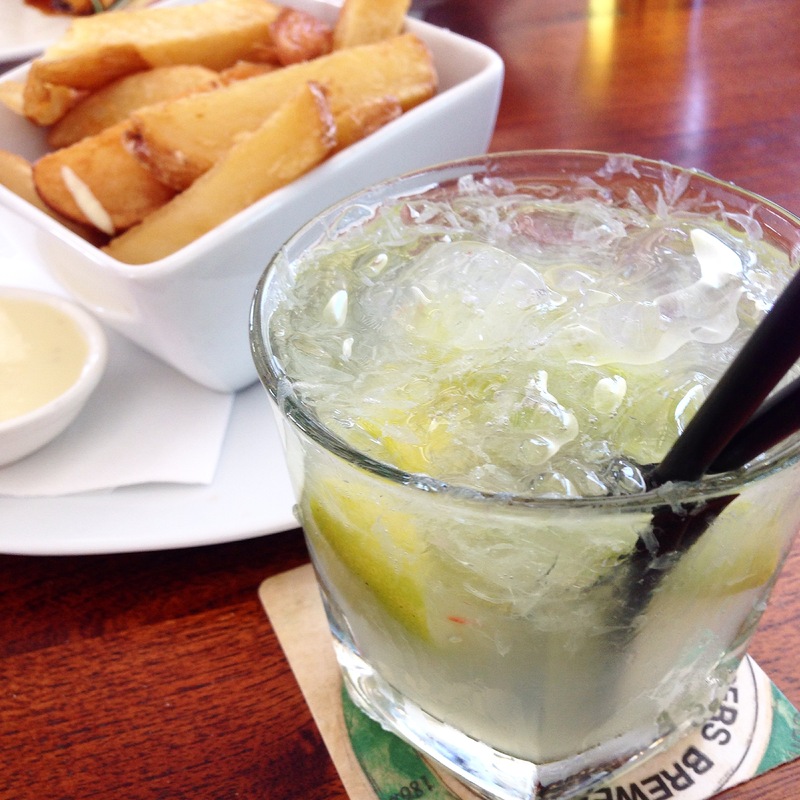 For a quick, not too bad pub meal head to Iron Bar on Macrossan Street in Port Douglas. The burgers aren’t bad and they have a great cocktail list (and they’re pretty cheap in comparison to others). Another option for decent pub food is the Court House Hotel. If you’re after Pizza, give Chilli’s a crack. Hidden in one of the back streets of Port Douglas, I stumbled across this place while out for a walk one day. It is literally a shed where you order and then all of the tables and chairs are set up in a vacant lot, but it has a great vibe and the food isn’t bad either. If you head inland to Mareeba to visit a the coffee plantation, head on over to Coffeeworx. They have coffee and chocolate tastings and both are pretty good. Steer clear of Skybury – The Australian Coffee Center. There isn’t really anything there, just an over priced café, serving cakes and either wraps or foccacia’s with three different fillings.